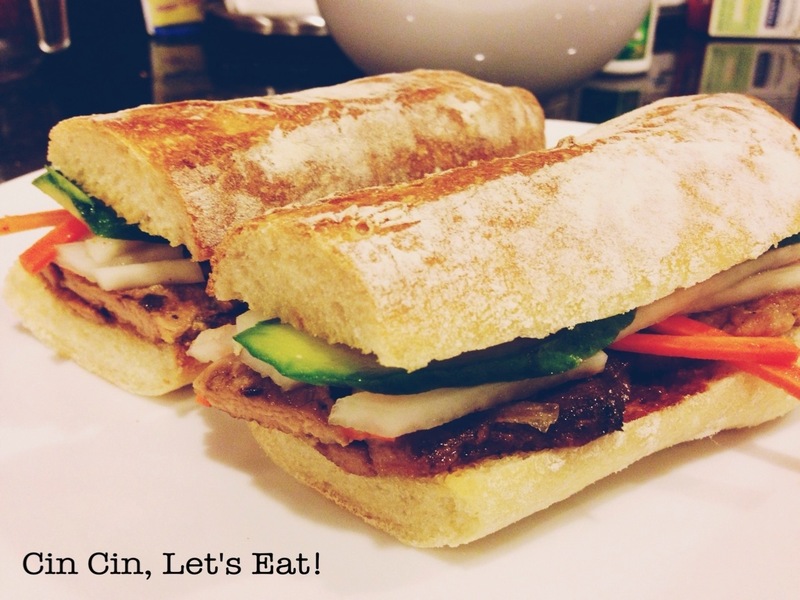 Vietnamese Sandwiches – Grilled Pork Bánh Mì [recipe] – Cin Cin, Let's Eat! France ruled Vietnam as a colony in the 19th century, thus the introduction of baguettes. 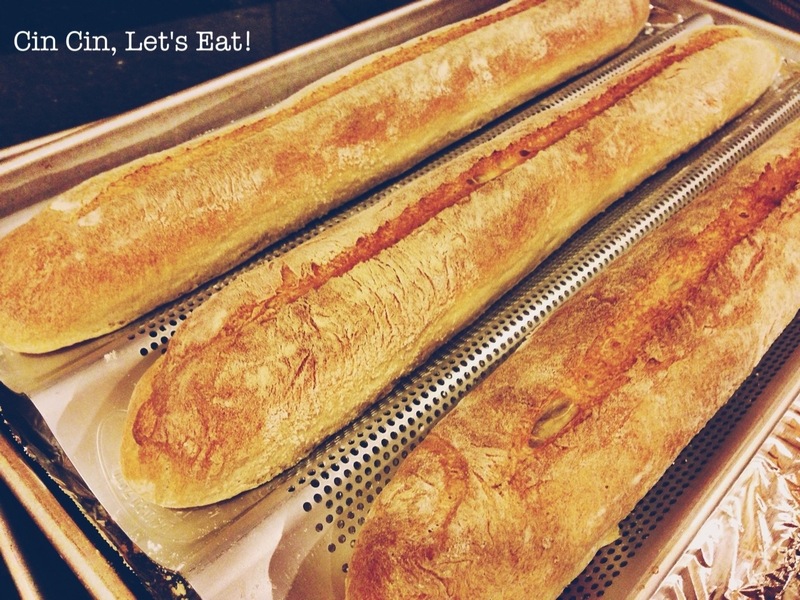 The term “bánh mì” means bread, or baguettes. 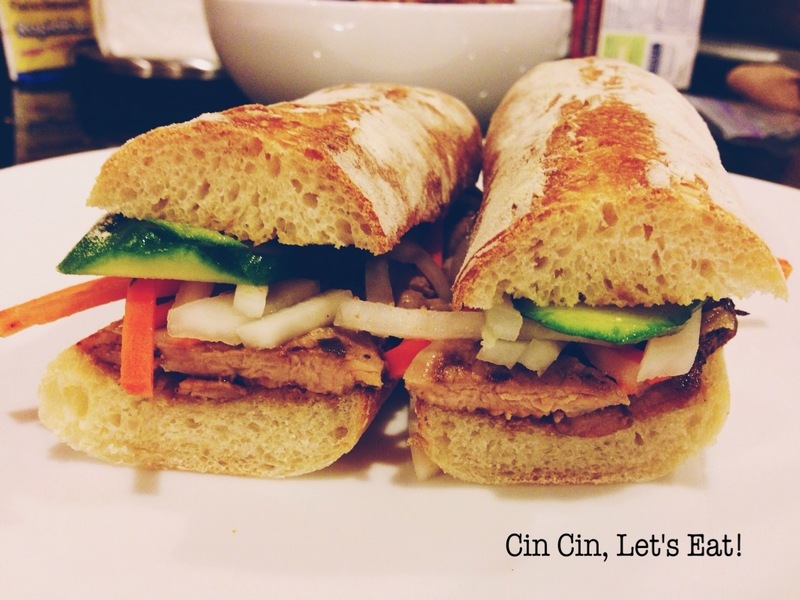 A banh mi sandwich is a single serving baguette filled with meats, cucumber, pickled carrots and daikon, and cilantro. Some common meats you’ll find in a banh mi sandwich are grilled pork, pork meat balls, head cheese, pate…etc. I decided to use grilled pork in my sandwiches today as the marinade takes no time to make and leaves the pork juicy and flavorful. Thinly sliced the pork tenderloin. In a blender, puree the fish sauce with the honey, sugar, pepper, scallions and garlic. Transfer the marinade to a bowl, add the pork and toss. Refrigerate for 2 to 4 hours. 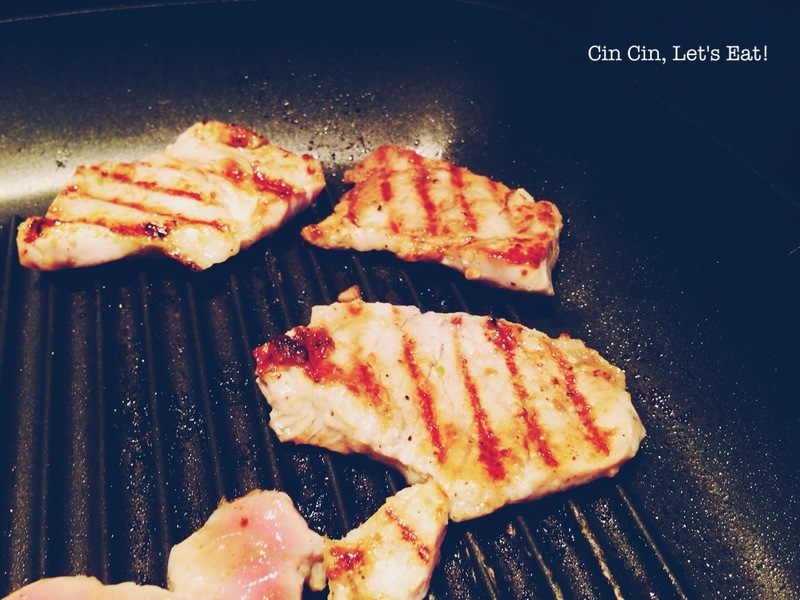 Grill the pork in a skillet. If you want to grill the pork on a BBQ, use skewers to thread several pieces of pork onto one skewer, grill for 4-5 minutes. Bring water, sugar, and vinegar to a boil. Transfer the vinegar mixture to a non-reactive bowl and cool. Add the carrot and daikon to the vinegar mixture, add salt to season. Marinade for an hour and enjoy. Store any leftovers in a sterile jar, refrigerate up to two weeks. Optional: Spread mayonnaise and a mixture of sriracha and hoisin sauce on the bread. Too much of the latter can overpower the taste of the grilled pork. I’ve been thinking about banh mis recently! You read mi mind! 🙂 Your baguettes look beautiful! 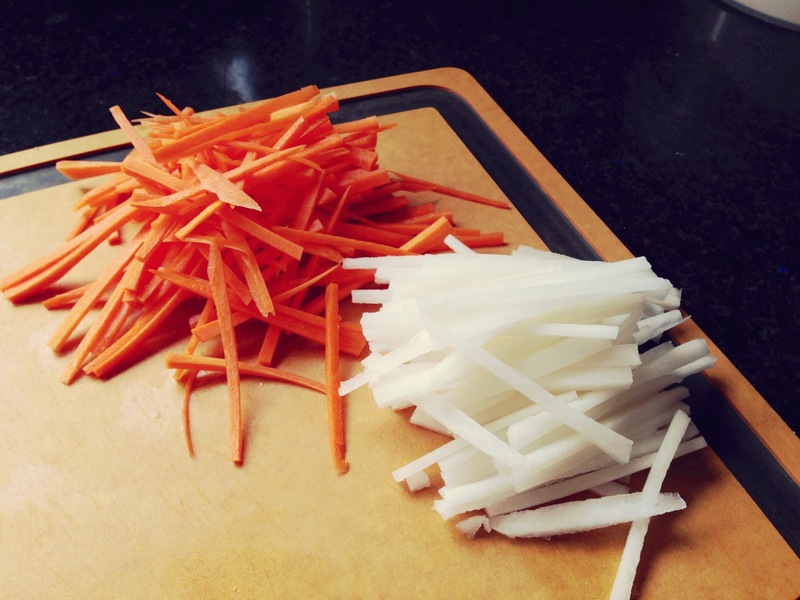 How do you julienne your carrots and daikon? Always have trouble with that! We should go to Woolly Pig in SF together and eat their bahn mi – it’s one of my faves there!